Alcohol hand sanitizer for daily hand sanitizing and infection prevention. 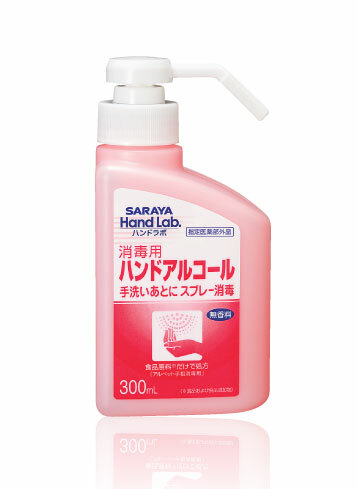 Hand Lab's fine mist covers all parts of the hands and fingertips without wasting to quickly dry. Food grade ingredients are only used so it is safe to use around the house. • Food grade formula is safe to use around the house. • Fine mist completely covers hands before drying. • Contains no added colors for better skin tolerance. How to use : Use as is directly on the hands or spray onto a gauze or paper towel to sanitize surfaces. Wash and sanitize with instant foam soap.